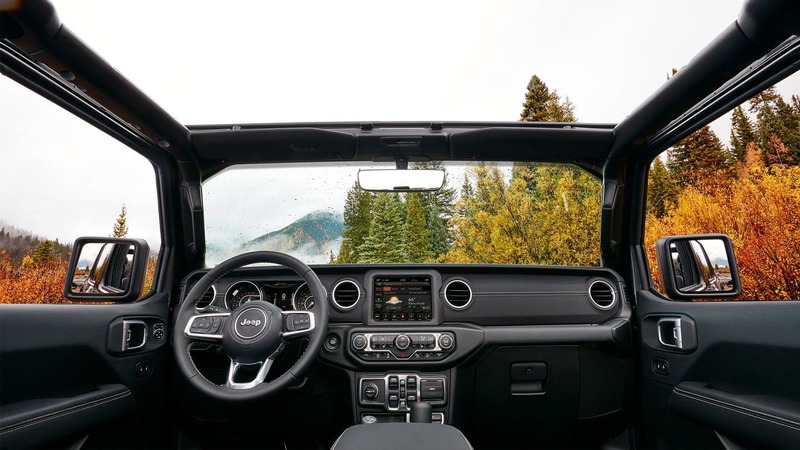 There's a reason, actually, there are several that the 2019 Jeep Wrangler was named Four Wheeler's "SUV of the Year" and they all have to to with a high-achievement caliber as well as an innovative approach to modernization. It wasn't due to the new Bikini exterior color, but that certainly is a fun fact! 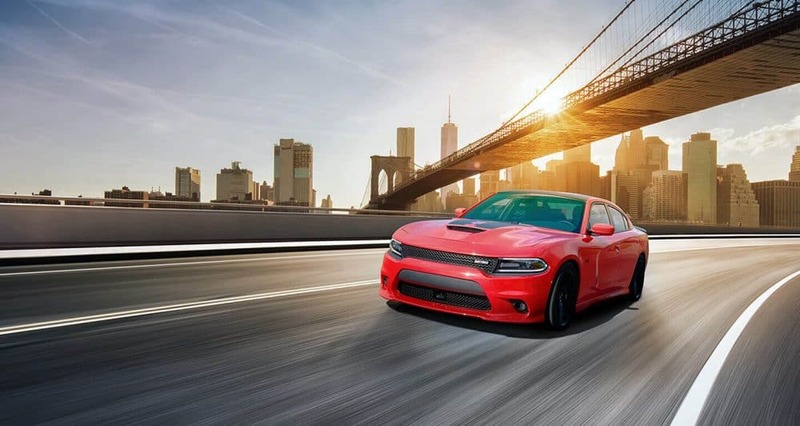 Items such as a 3.0L turbodiesel V-6, ever-evolving Dana front/rear HD axles, trapezoidal wheel flares, a retracting, accordion-like top feature, safety-focused forward collision warning, adaptive cruise control, and eTorque all contribute into making the grade in 2019. 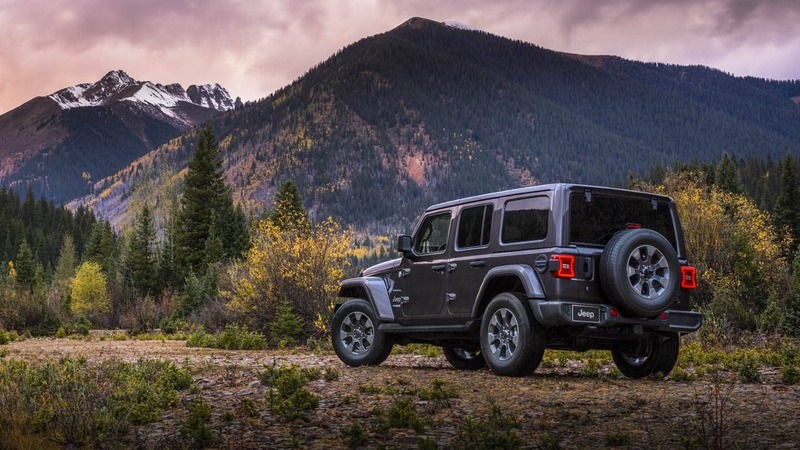 The 2019 Wrangler has subsequently won a stack of awards across the board, from Motortrend to Kelley Blue Book! Let's get into why that is, besides that the Wrangler, in general, has a wide fan-base and a benchmark-breaking 4x4 endurance track record. What power options are there under the hood? There is a 3.0L turbodiesel V-6 in the offing, so most will have to wait with bated breath on that fact. In the meantime, a 3.6L V-6 with 285-horsepower and 260 lb.-ft. of torque is here for your Wrangler-riffic needs! Or look into the mild-hybrid 2.0L turbo-4 engine instead that maintains 270-horsepower and 295 lb.-ft. of torque (using eTorque). Paired with the 3.6L is a 6-speed manual transmission or a possible 8-speed automatic one, while the V-8 allows the capable -8-speed automatic transmission. Can you go over the trims and a few of their exciting features? There are four versions of the Sport, Sport S, Rubicon, and the 4-door Sahara. 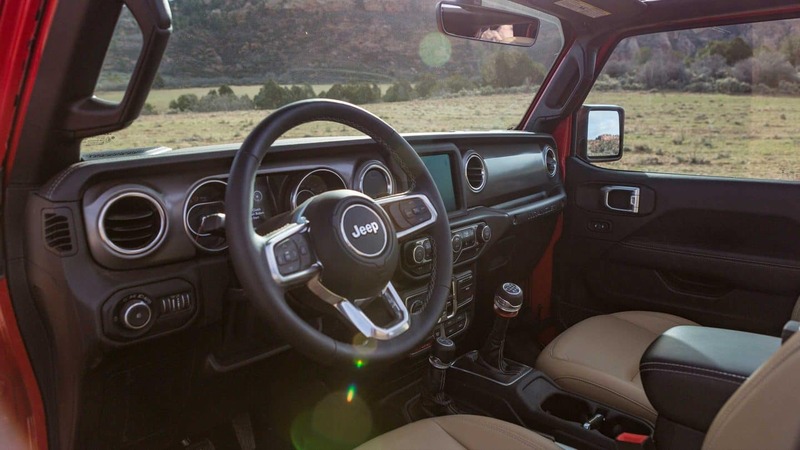 The 2019 Wrangler encompasses some traditional items, like a fold-down windshield, the seven-slot keystone grille, round headlamps, and removable doors. A robust Uconnect system can be 7-inch or up to 8.4-inches and accommodates Apple CarPlay and Android Auto, pinch-and-zoom, and more! Lightweight and high-strength aluminum makes its way into features like the windshield frame, hood, doors, hinges, and fender. The Sahara and the Sport models can both have Trac-Lok limited-slip rear differential that introduces further torque and grip in low-traction circumstances. Sahara models specifically allow access to a Selec-Trac two-speed transfer case with full-time 4WD and a 2.72:1 low-range gear ratio, and next-gen Dana front & rear axles. The 2019 Wrangler Rubicon model really gets into the thick of it (and back out of it too) appropriating features such as next-gen Dana front/rear HD axles, electric front & rear locking differentials, a disconnecting front sway bar, augmented off-road rock rails, and a 4.0:1 low-range gear ratio within the Rock-Trac NV241 two-speed transfer case with. Rounding things out are 33-inch BF Goodrich KM All-Terrain tires, so keep an eye out for those on your options list! Sahara, as well as Rubicon models, can employ the Sky One-Touch powertop, which seems futuristic in that it even when the Wrangler gets up to 60-mph, it can close or open with the tap of a button! Also, exterior colors you may see the 2019 Wrangler in are Bright White, Hella Yella, Punk'n Metallic, "Mojito! ", Black, and several others! Would you overview the security and safety features for a moment? There is quite a spectrum of safety stratagems and security systems within the Wrangler, such as the Adaptive Cruise Control and Forward Collision Warning with Active Braking (within Advanced Safety Group package). 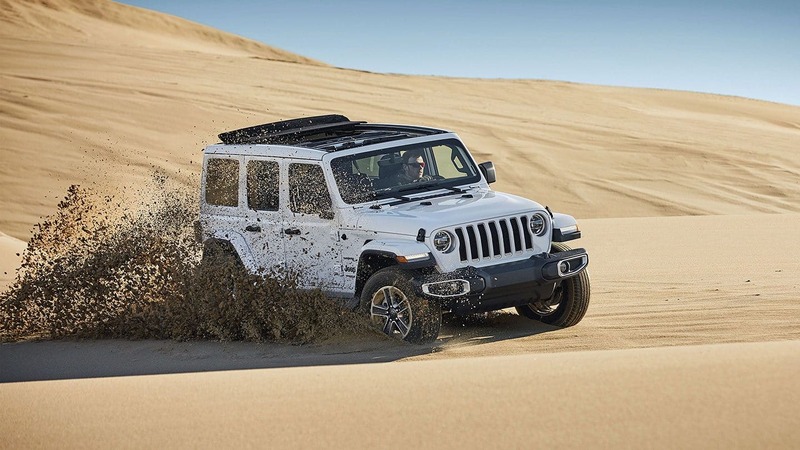 75 safety and protection features could get applied to the Wrangler in 2019, including standard front/side airbags, Hill-start Assist, electronic stability control (ESC), TPMS, brake traction control, trailer-sway control, and electronic roll mitigation. The ParkSense Rear Park Assist System uses sonar and alerts you to unseen issues during parking, and the standard ParkView Rear Back-Up Camera automatically appears on the touchscreen when in reverse! Radar gets in the game for the available Blind Spot Monitoring and Rear Cross Path Detection features. 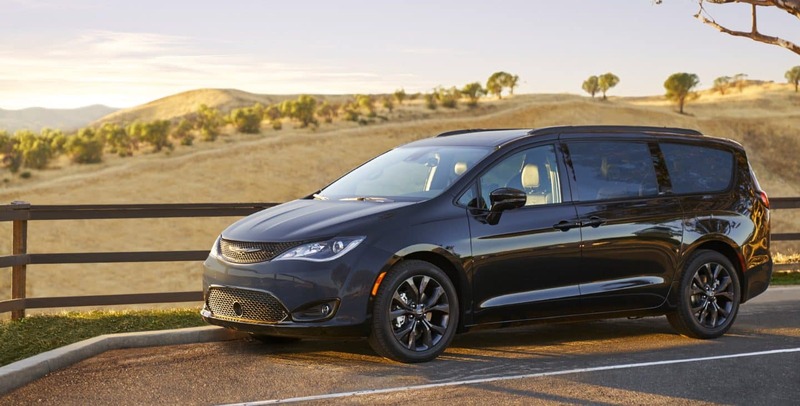 No more fumbling about for your keys either while standing in the danger zone of traffic with the Keyless Enter 'n Go passive entry system, a system that helps you get into this vehicle even quicker! 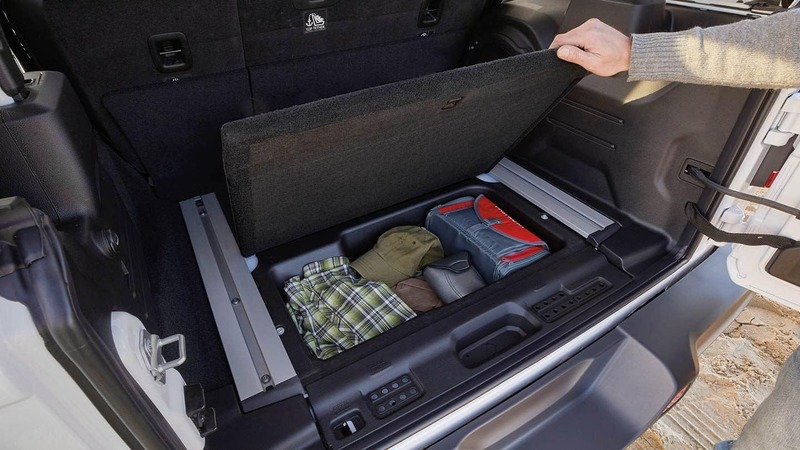 Don't forget the Wrangler has always had a plethora of Packages and options to pick from, and that continues unabated into 2019. A Class II Receiver Hitch, for instance, kicks off the components of the available Trailer Tow and Heavy-Duty Electrical Group, then puts in things like a 700-amp maintenance-free battery and winch-operating, programmable aux switches. Live in the cold weather? Opt for the Cold Weather Group with its heated front seats and a Remote Vehicle Start (on the automatic transmission). One more to look into (out of the nine we know of currently) would be the possible LED Lighting Group with LEDs on the taillamps, DRLs, fog lamps, and augmenting the headlamps. When your ancestors involve the original Willys MB, you know things are going to be built sturdy and reliable. 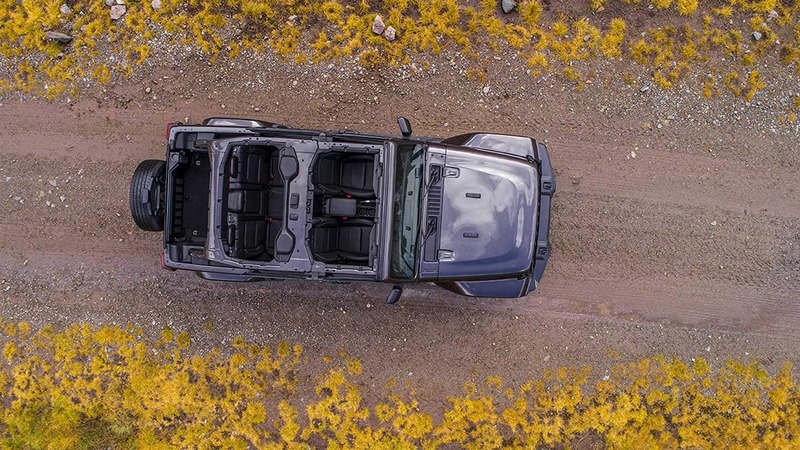 The 2019 Wrangler doesn't fall far from that tree, and its extensive off-roading expertise becomes a base to build out from into areas like paved-road maneuverability, passenger comfort, and in straightforward technology. Let's get you over here to Charlie's Dodge Chrysler Jeep RAM someday soon and we'll talk about the possibilities!